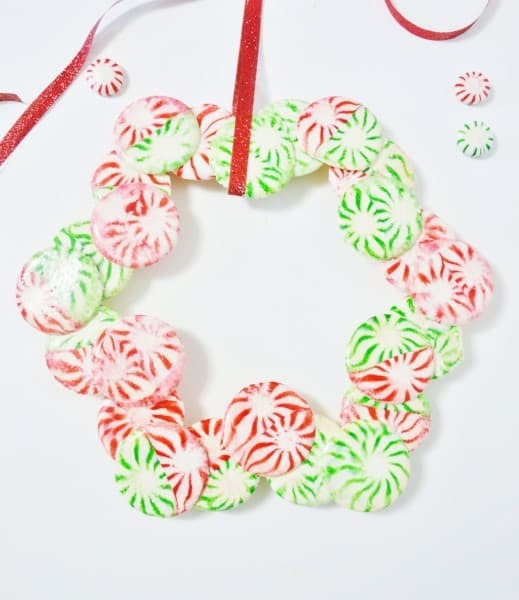 Looking for a quick, easy and creative holiday craft idea? You’re in the right place! Read on, and then stick around for more Christmas crafts and printables! 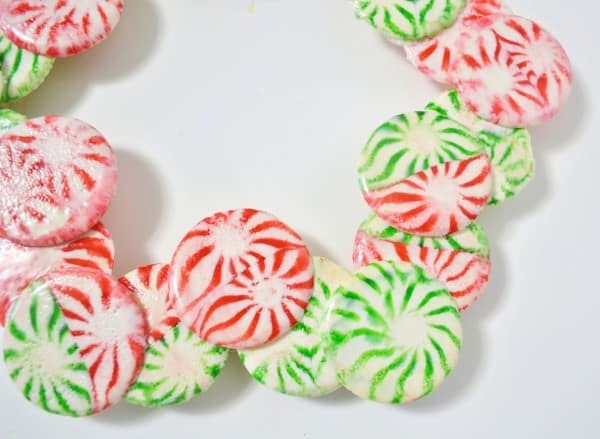 I’m not sure where I got the idea for this Starlight Mint Christmas wreath…it may have been inspired by this post for a DIY peppermint platter, but the fact is, this was such a fun and simple craft project. 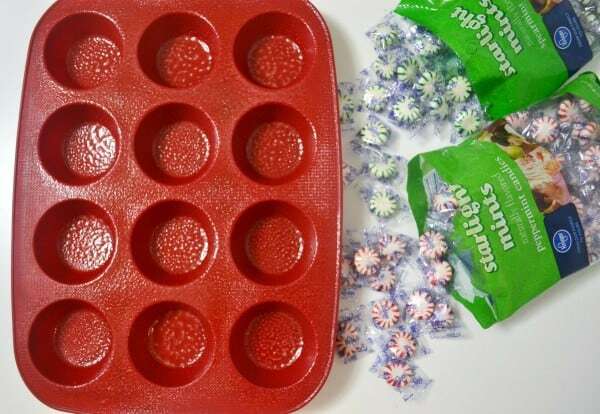 Step 1: Spray your muffin pan with cooking spray. I gave it a really thorough coat; I definitely didn’t want these sticking! 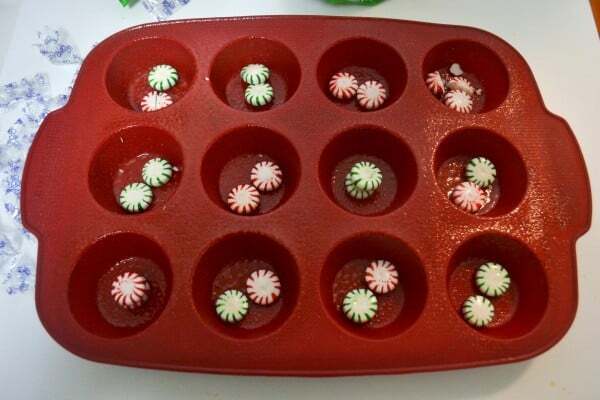 Add two mints per cup. I tried different variations (2 of the same color, 2 different colors, stacked, side-by-side) to see what I liked best. For me, I think I liked two of the same color side-by-side, but it’s really up to you. Step 2: Place in a 350 oven for somewhere between 3-8 minutes. Just keep a good eye on them and pull once they’ve melted. Let cool. 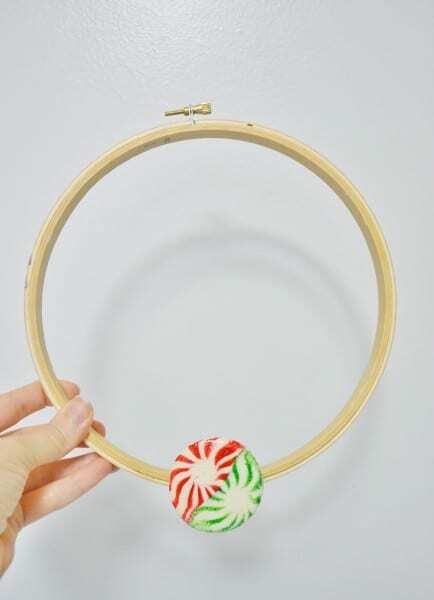 Step 3: Take your embroidery hoop, and begin hot gluing your mints around your hoop. 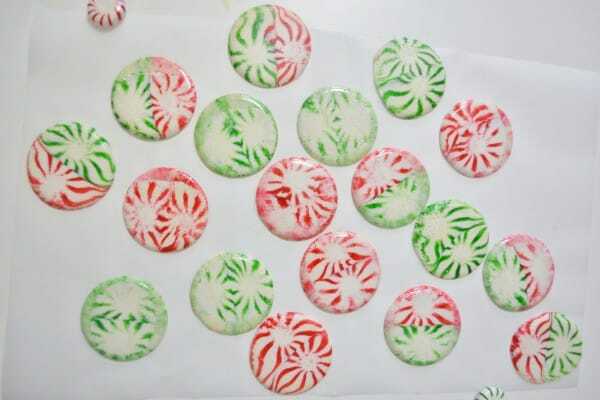 I glued mints all the way around, and then began stacking/overlapping the mints for a second layer. The star pattern I ended up with with unintentional, but I like how it turned out in the end. 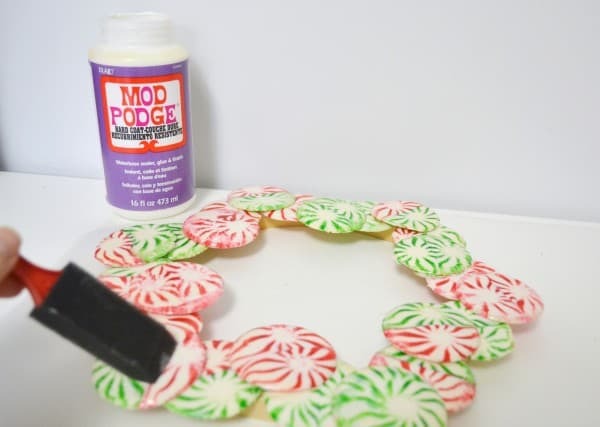 Step 3: Next, you’ll want to seal your wreath so it lasts a bit longer and doesn’t get sticky. I used Mod Podge Hard Coat, applying three thin coats and letting them dry in between. I really love how unusual and fun this wreath is. 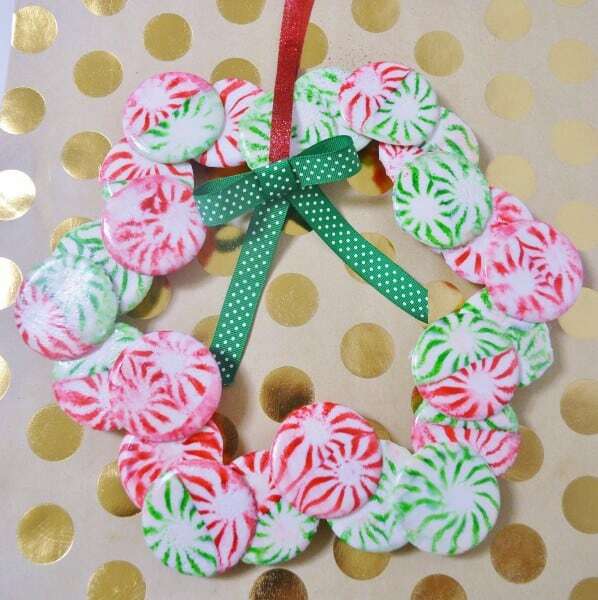 Thanks for reading all about my Starlight Mint Christmas wreath! 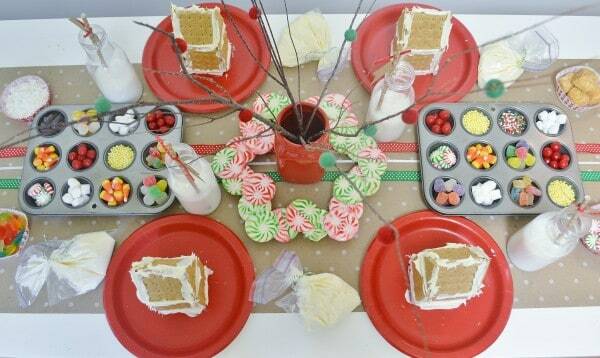 Find dozens more creative Christmas ideas and freebies here! Will the modge podge keep candies from melting? My door gets super hot? 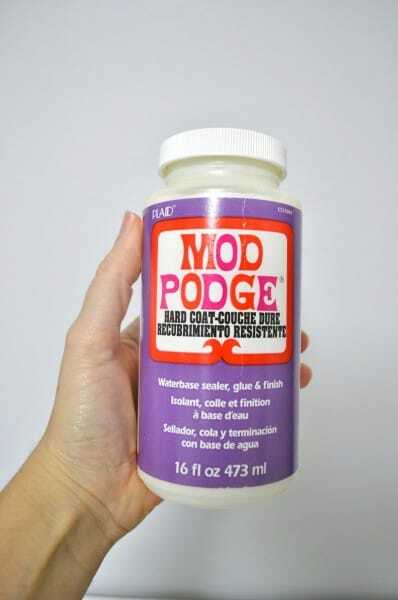 Would spraying this with a craft sealer work better than hodge podge? Or even a spray poly acrylic. I used to make ornaments by laying metal cookie cutters on a cookie sheet and filling each one with hard candies. They melted into gingerbread man shapes, stars, etc. ! Can you use a metal muffin tin ? If sinhor long toncook? Great idea!!! Bravo… especially love Bethany’s input with using metal cookie cutters to make other shapes…. 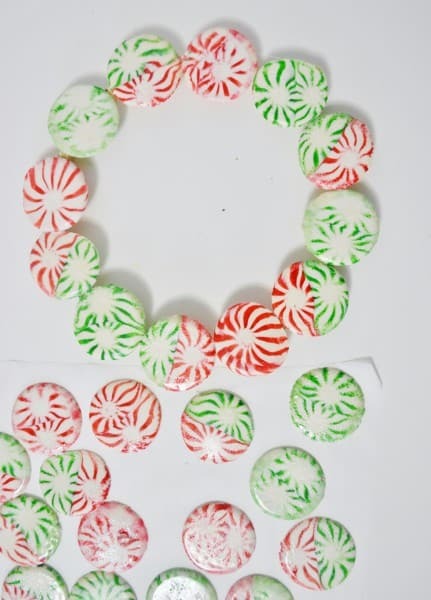 I’m thinking combining both these ideas to make tons of cool fun stuff assuming you could most likely use just about any hard candy… this can be done for any holiday,, any party, any season… the possibilities are endless….. I wonder how it would fare to put translucent colored hard candies on a full cookie sheet to make a faux stained glass window…. thanks for the idea!!! I am going to run miles with this one!!!! !